Busy few weeks for the “hangman” here in the USA. Lots to cheer about for Rick Perry’s Tea Party crowd, as the executions stack up as they did at the Tea Party “debate”. From Supreme Court intervention stopping an execution Texas, to the planned execution of Troy Davis in Georgia – it seems killing for vengeance has become big business in a few southern states. Lawrence Russell Brewer - Next on Rick Perry's List? One of three men convicted for his involvement in the infamous dragging death of a black man 13 years ago is scheduled to be executed Wednesday. Lawrence Russell Brewer, 44, is scheduled to die by lethal injection in the killing of James Byrd. Brewer and two other white men chained the 49-year-old black man to the back of a pickup truck and dragged him to death on a country road near Jasper, Texas. Accomplice John William King also was sentenced to death and is awaiting an appeal. A third man, Shawn Berry, received life in prison. 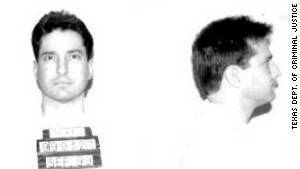 A prosecutor called Brewer a racist psychopath during his 1999 trial. During the trial, Brewer took the witness stand and contended that he was a bystander, not a killer. Brewer, a former jailhouse Ku Klux Klan leader, said King initiated the killing by fighting with Byrd. He also said the third defendant, Berry, slashed Byrd’s throat and then chained him to Berry’s pickup. Brewer admitted kicking Byrd and spraying Byrd’s face with black paint. But he said it was a reflex action taken to try to break up the fight between Byrd and King. The execution would be the 11th this year in Texas, the most active death-penalty state. Is probably beyond Brewer’s means. “You can’t fight murder with murder,” Ross Byrd, 32, told Reuters late Tuesday, the night before Wednesday’s scheduled execution of Lawrence Russell Brewer for one of the most notorious hate crimes in modern times. It appears that one of the drugs used in the “cocktail” administered for lethal injection in many states is in short supply. So short in fact, executions may have to be delayed! There seems to be some question as to whether the company which makes the drug is just refusing to produce it, as it’s primary use anymore is lethal injection – or if there is a real shortage of raw materials to make the drug. Only to see it’s principal use wind up to be taking lives. Executions by lethal injection have been put on hold in several states because of a shortage of a key ingredient for the killer shot. Sodium thiopental—generally used to render the condemned unconscious before other drugs are injected, although Ohio and Washington use it to kill—is in short supply across the country, the AP reports. California plans to suspend executions after using the last of its supply for an execution later this week, and Kentucky’s governor has delayed signing death warrants. The drug’s only US manufacturer, Hospira, blames the shortage on issues with the supply of raw materials and says new batches won’t be ready until January at the earliest. 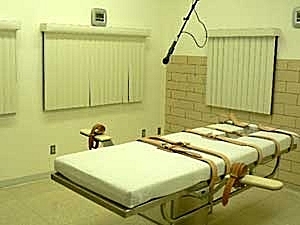 At least one death penalty expert, however, is skeptical of the explanation, noting that the firm objects to its products being used for executions. The company “provides these products because they improve or save lives and markets them solely for use as indicated on the product labeling,” a Hospira exec wrote in a letter to Ohio authorities earlier this year.